Considering going to Greece? Don’t miss Hilary Rattikin’s simple outfit guide! 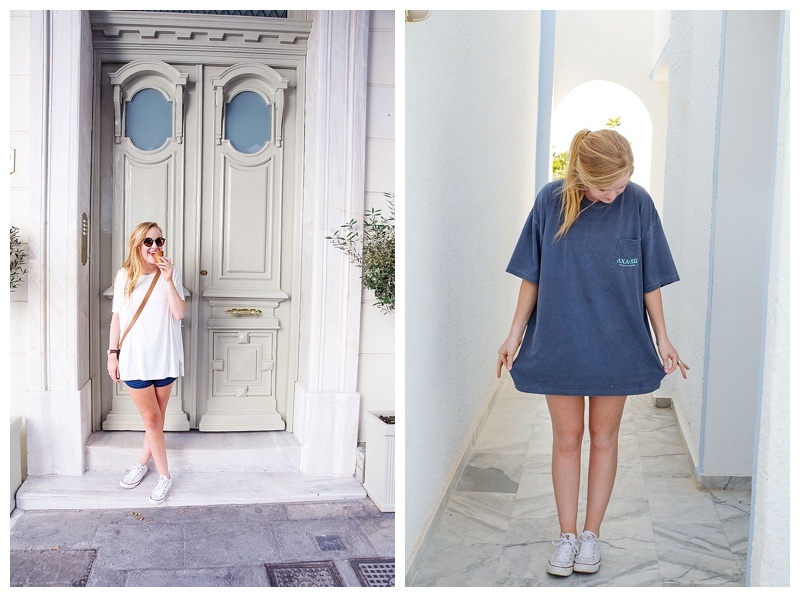 A junior at the University of Texas and current LEAD Greece student, she is an expert on what to bring! From sitting through morning classes at the hotel to grabbing a quick ice cream cone in Athens, comfort is key! Be sure to bring a few casual tshirts and shorts to run around in on low key days. Some of our days are more active than others. Whether we are climbing a volcano in Santorini or hiking Samaria Gorge it’s important to have comfortable athletic wear to keep you cool. Tennis shoes are definitely a must! With all the beautiful places to see, you will to want to take more pictures than your memory card has room for. 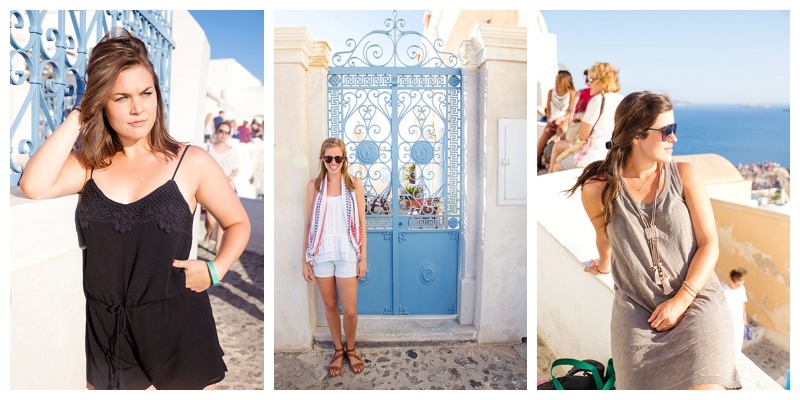 Make sure you look cute while touring the Acropolis and exploring Crete with friends. 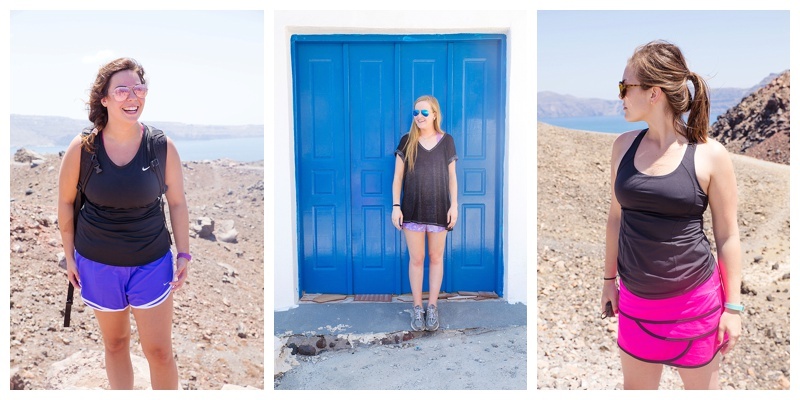 Shorts and cute tops are comfortable, effortless and ensure you will look great in all the photos you send home! Converse are the way to go on long days like these. Don’t forget a cute pair of sunglasses! Be sure to bring a cute swimsuit and cover up! You will live in flowy sundresses and sandals while you’re heading to the pool or sailing around Santorini on a catamaran. However, with all the adorable cover ups we’ve found shopping maybe it’s not the end of the world if you “accidently” forget yours! From fun dinners with friends in Glyfada to a night out on a rooftop in Athens, it’s smart to bring a couple of outfits you can dress up or dress down. We love wearing rompers, jeans, and sundresses and mixing them up with flats or wedges and fun scarves or jewelry. But don’t stress! If you happen to forget a cute sundress or a pair of jean shorts, you have 70 new best friends to share closets with!